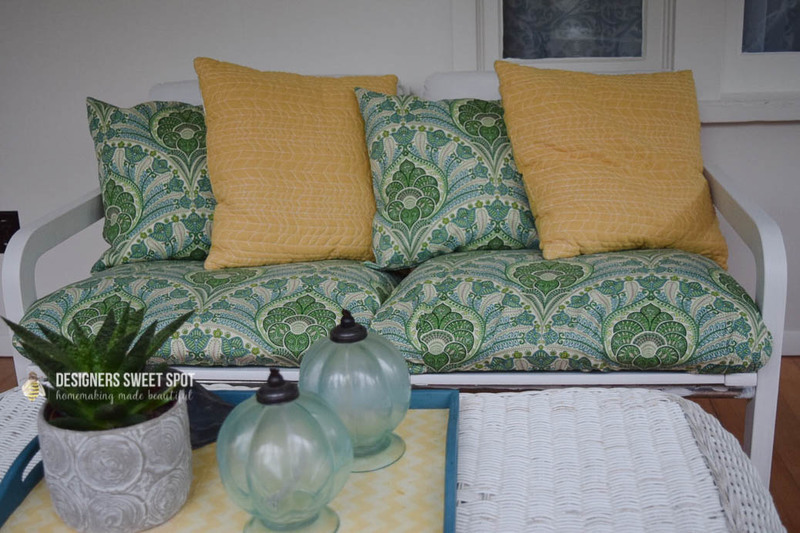 Designers Sweet Spot has rebranded, and is now Cozy Traditional Home! Hemming suit coat sleeves is a very valuable skill to possess! Here is the best way to hem your coat sleeves, explained in a great step-by-step tutorial. Hemming suit coat sleeves is not a difficult task if you know a few tricks. It does take a bit of time, but it is very worthwhile. A project like this needs to be done properly since a suit coat is not a small investment. This is not a project for heat n bond, suit coat sleeves deserve traditional hemming. Tailors typically charge $20 or more per sleeve for the same outcome. While you can expect this project to take one or two hours, I think the savings make it well worth the effort. This post contains affiliate links. By making a purchase I will receive a small commission at no additional charge to you. Thank you for your support! The most important advice I ever received on alterations was to only work on one sleeve at a time. Don’t be tempted to take them both apart, you may not remember exactly how it went together and you will loose that professional look. 1. First, fit your jacket sleeve length. Mark with a pin, and measure how much needs to be hemmed. The sleeve should touch the top of your hand while your arms are relaxed down at your sides. 2. Remove the stitches that hold the lining to the sleeve. If your jacket has buttons on the cuff, you will also need to remove those. In addition, the lining may be tacked in a few other places. Cut the tacks and roll the lining up the sleeve about half way. 3. If your jacket is vented at the cuff, remove all stitches holding the vent in place. The goal is to open the existing hem and therefore flatten the vent. If there is interfacing in the cuff, you may be able to leave it in place and will not need to add more interfacing. 4. Now for the tricky part. Measure how much your hem needs to be shortened and mark with tailor’s chalk. The basic rule of thumb is if you are shortening the sleeve more than 2″, you will have to sew the vent closed. No one will know that the jacket used to have a vent. Overall, this is the easiest process as it is far more complicated to keep the vent. 5. On my jacket, I also used the ruler and chalk to mark the cutting line. Cut away the excess vent fabric. You want the seam allowance edges to be even all the way to the end of the sleeve. 6. After trimming away the extra pieces of fabric, sew the vent closed using a straight stitch while catching the interfacing to hold it in place in the side seam. If you need to add interfacing to the hem of your sleeve, do that before sewing the side seam shut. Keep the interfacing parallel to the raw edge of the fabric. It should be centered over the fold of the cuff for a crisp finish as seen in the photo below. 7. It is now time to trim the excess fabric from the hem. I had to shorten my sleeves 3″ so I removed 3″ off the raw edge. Mark with ruler and chalk, then cut. 8. Once you mark the jacket sleeve, you are able to mark and cut the same amount from the sleeve lining. 9. Press the fabric lightly so that it is easier to hem. Be sure to use a press cloth if your jacket is wool. Also, do not press your suit coat sleeve completely flat, it will look rather funny when wearing it. You may choose to use a rolled up towel in the sleeve to avoid creases, a sleeve roll would also work if you have one. 10. Next, fold the hem in place. While using the other sleeve as a guide, re-measure sleeve allowance and pin the lining fabric in place over the raw edge of the sleeve. Try the jacket on and make any necessary adjustments before completing. Hang in there we are almost done! 11. Time to slip stitch the lining to the hem. Using a needle and thread, pick up only a thread or two of the wool sleeve and then the same amount of the lining. If you are not much for hand sewing, remember the lining won’t show. If you pick up more of the lining fabric at first it’s okay. Just be sure that your stitches are not visible on the outside of the sleeve. Time to start all over with the other sleeve! That wasn’t so bad, now was it? You can do this! Don’t forget to Pin this post for later! Subscribe to get FREE Learn to Sew Worksheets.